Progressive Medical Concepts has begun a new service for the long term care industry: electrical safety testing. This type of testing has been performed in hospitals for many years. In the hospital environment, many patients have catheters or leads which enter the body. These body penetrations make patients very susceptible to even small amounts of current leaking out of electrical equipment. Consequently, it is very important for electrical safety testing to be periodically performed on any equipment that may come into proximity to a patient. There are several organizations which have published standards for performing this testing. The first is the National Fire Protection Agency which published NFPA99 entitled “Standards for Health Care Facilities”. Also, the America Association for Medical Instrumentation which have the AAMI ES1 standard entitled “Safe Current Limits for Electromedical Apparatus”. 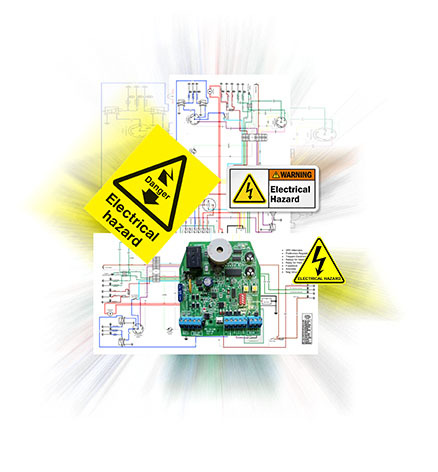 Also the IEC (International Electrotechnical Commission) has two involved standards: 60601 and 60623. The IEC 60601 is a standard that applies to the manufacturer of medical equipment, however it provides the basis for the 60623 standard. The 60623 is a testing standard for medical equipment that is out in the field, and outlines periodic testing after manufacture. The testing standards outline the methods of performing testing, as well as maximum allowed results for the various tests. The test process includes a visual inspection, mains testing, ground wire resistance, leakage current to ground, leakage current to chassis, lead to ground leakage current, lead to lead leakage current, and insulation resistance. Several of the tests are performed with neutral open and closed, and with polarity normal or reversed to simulate fault conditions. Because fault conditions are created during the testing, technicians performing the testing must be fully trained and certified to prevent a hazard such as shock or electrocution during the test. Electrical safety conditions which are screened by the electrical safety test include inadequate grounding, internal shorts, inadequate shielding, power cord beginning to fail, improper fusing, reversed polarity, and excessive microamperage leakage. Any of these conditions can put either the patient or operator at risk. Progressive Medical Concepts uses state-of-the-art Fluke Biomedical test instrumentation. Our technicians are fully trained and certified on the test process, and testing can be performed at your nursing home so you can keep up and running during the testing. Testing is documented by an equipment sticker, hardcopy or PDF of each test report, a summary report PDF, and/or a searchable test database. Documentation is provided to the facility in a thumb drive. 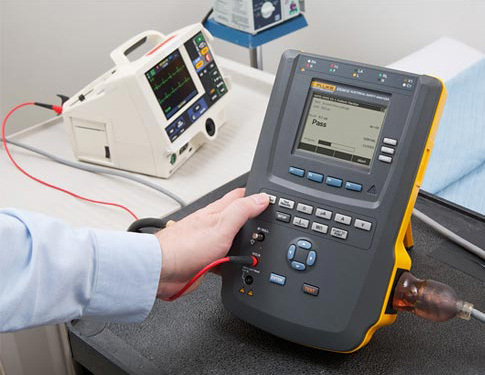 We can perform testing on virtually any Type 1, Type 2, or even battery operated equipment. This includes equipment with a detachable power cord, non-detachable power cord, or permanently installed (with the exception of ECG, ultrasound, intra-cardiac lead, or in-vivo applied part equipment). As previously mentioned, electrical safety testing has been mandatory in hospitals for many years, but recently it has come to the nursing home industry. If you are interested in having Progressive Medical Concepts perform electrical safety testing in your facility, please contact us at 800-511-2601, or contact the Territory Manager in your area. We would be happy to provide you with a quote for this service.